Unwanted guests are never fun, especially when you can’t ask them to leave. Luckily, Nanaimo pest control companies have no problem kicking them out. Whether there’s a rodent in your basement or insects in the attic, call your local Nanaimo exterminator to take care of them — do not try to wrangle them out yourself! Not sure which type of home pest control service in Nanaimo, BC can tackle your issue? Read profiles and ask about their past experiences to get a good idea. The Westside Pest Control LTD team has been happily serving the Lower Mainland since November 2009. We are a proud A+ rated member with the Better Business Bureau. 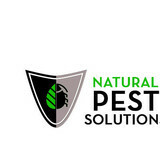 Westside Pest Control LTD is also a member of the National Pest Management Association, Canadian Pest Management Association, Structural Pest Management Association of BC. 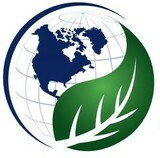 In addition we are an active member with the Vancouver Board of Trade and Coquitlam Chamber of Commerce. Westside Pest Control takes genuine pride in providing effective solutions for your pest problems. Our technicians are certified, thoroughly trained and extremely professional. 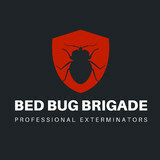 We strive to get rid of your pest problem, put your mind at ease as quickly as possible and put a smile on your face! Our technicians live in areas they service, in an effort to reduce our carbon footprint by minimizing our emissions. We perform thorough inspections on every service visit, allowing us to get to the root cause of each pest issue we encounter. In turn, our technicians focus on prevention methods rather than the overuse of chemicals and poison.